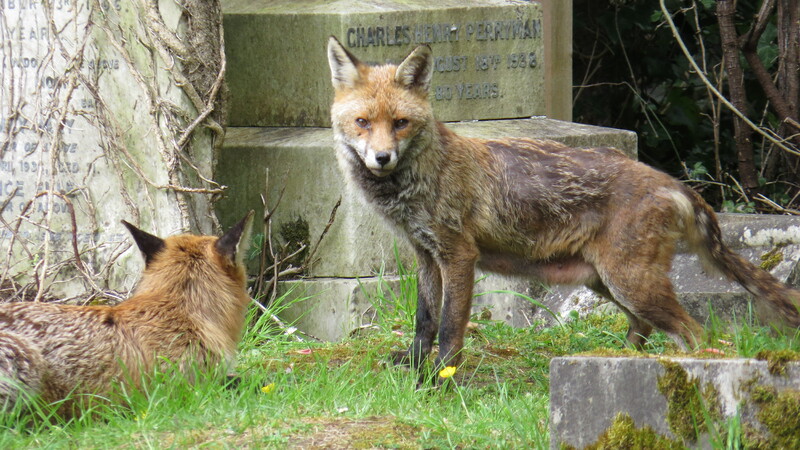 The Cemetery Is Not Just About Foxes…..
Dear Readers, today I am going to share sightings of some of the other animals and plants that live in St Pancras and Islington Cemetery, but I thought I’d start with a fox update. 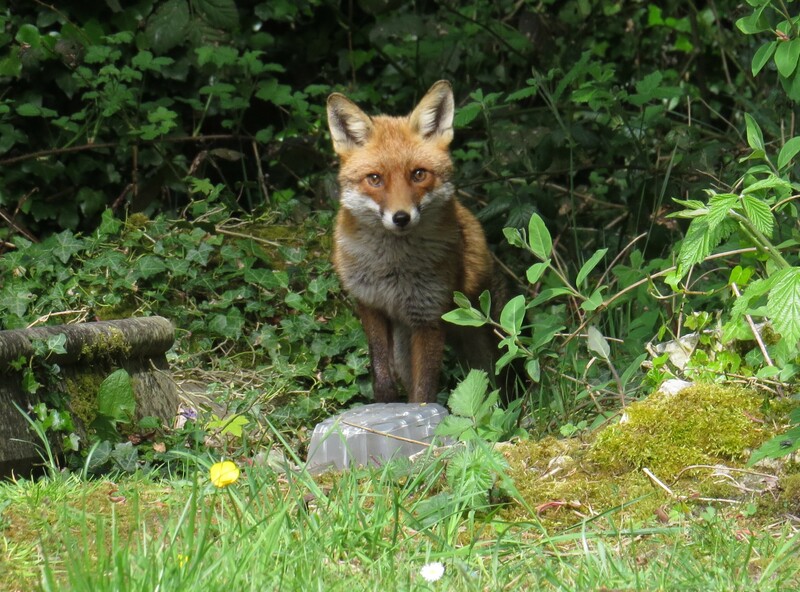 We have a new fox visiting the feeding area, and what a handsome animal s/he is: this one is a loner, a little bigger than the dog fox who usually visits with the vixen. They all arrive at about the same time, so I’m fairly certain that the vixen is getting her share of the medicated sandwiches and the dog food that I’m distributing during the cubbing season. No sign of cubs yet, but it’s a real joy to see these three animals, and to note that although the vixen is still skinny, she definitely seems to be getting her fur back, and her limp has pretty much gone. So, with this week’s fine weather as a spur to action, I decided to do a complete circumnavigation of the cemetery. There is one long road that winds along the top edge of the cemetery, parallel to the North Circular road, and so haunted always by the rumble of traffic. And yet, where the path is lined with big old trees, the noise level drops away dramatically. 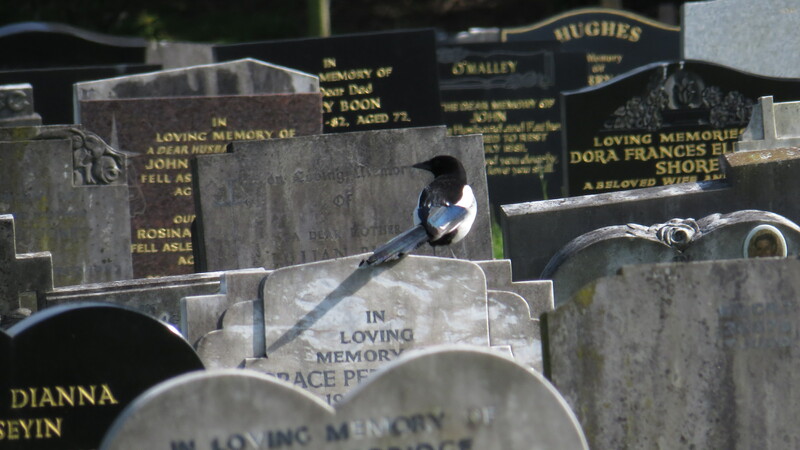 I spotted young magpies in the trees, squawking and arguing, and an adult bird flying from headstone to headstone. As I draw alongside a stand of conifers, I look through the trees and see that there is a purple haze all along the path and blanketing some of the graves. I can’t resist going off piste for a look. 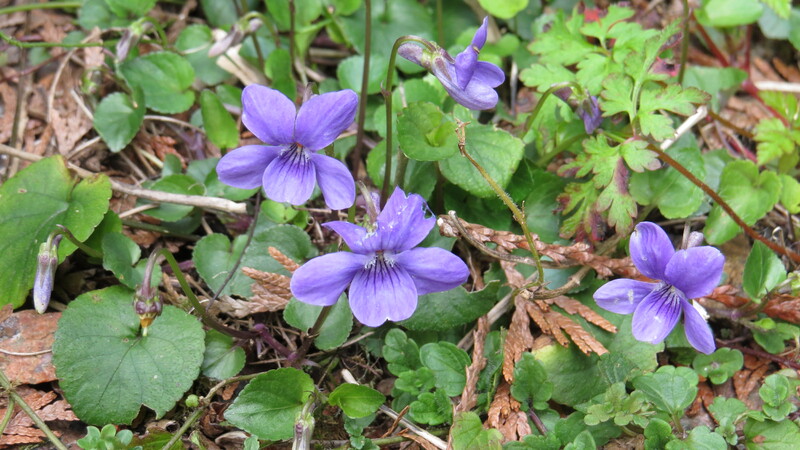 The ground is soft and mossy, and there are violets everywhere –not the violas and pansies that I see on so many of the graves, but real wild dog violets. Each individual face is so tiny and shy, and yet here there is an ocean of them. I have never seen so many in one place. What is it about this particular spot that makes it so perfect? Who knows. 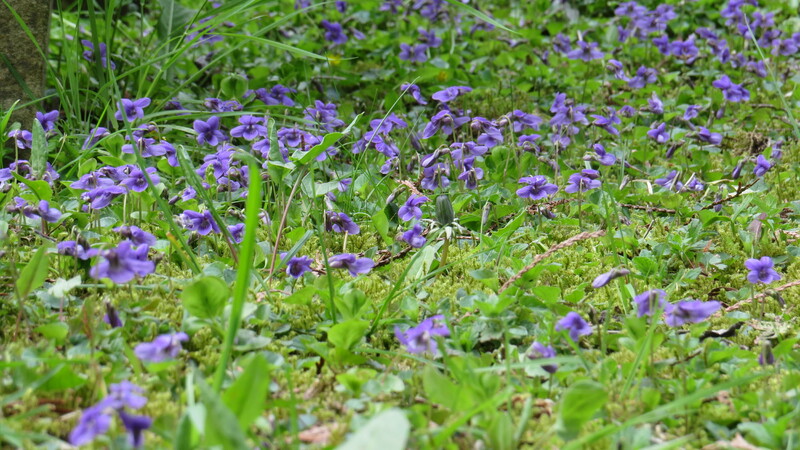 I find myself kneeling on the ground, taking photograph after photograph. It’s been such a time of rushing about that I’ve forgotten how nice it is to make time to really look. 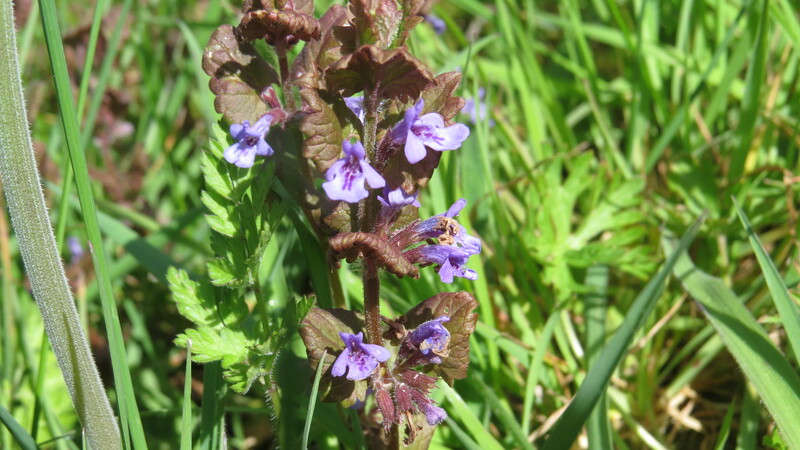 As I walk north, I pass another area that is glowing, this time in royal blue – the bugle is in flower. What an interesting plant this is! 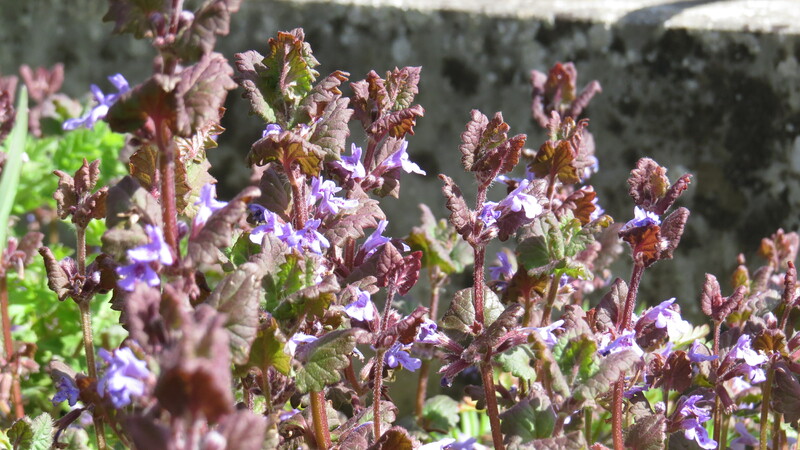 The leaves and stem of this variety are a deep chocolate brown, and the flowers are the deepest lavender blue. The individual blooms remind me slightly of the ‘bunny rabbits’ on an antirrhinum, and the bees love them, forcing their way between the petals and then droning away to the next flower like a fleet of miniature bomber planes. I lay down on the warm grass to take some photos, and all I can hear is the buzzing, the sound of the birds and the constant roar of the North Circular Road. 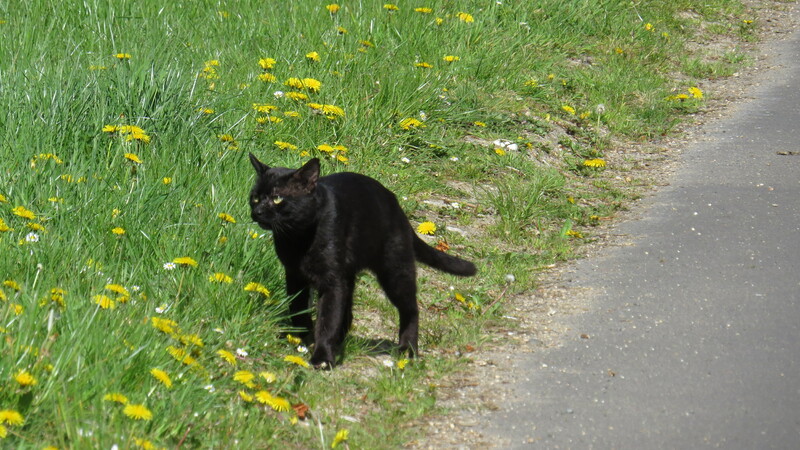 As I walk back to the path, a black cat walks out of the wood. He isn’t one of B’s little collection of four – this is a much slinkier cat, who obviously hasn’t been feeding on chicken legs and Sheba. He glances at me, blinks once, and bounds through the grass and over a fence into the houses beyond. It is like a brief meeting with a miniature black panther. I turn right at the top of the path. By now I am alongside the road, separated only by a six foot wire fence and a verge on either side. The speed and noise and fumes of the traffic are constant, with the occasional rumble of an articulated lorry. 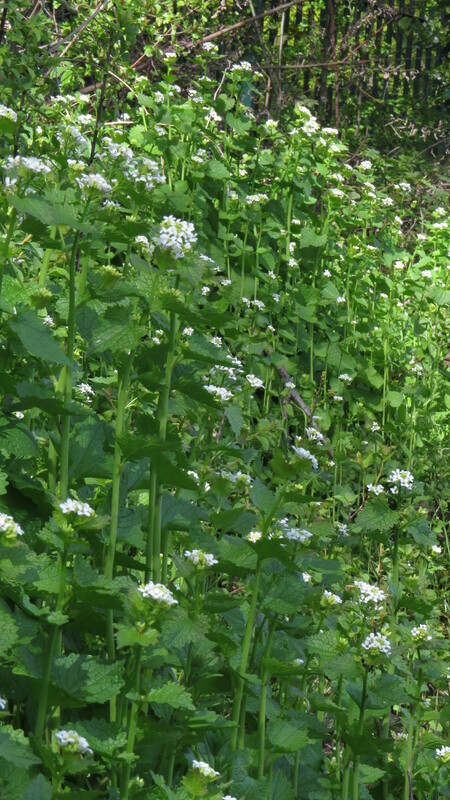 But on my side of the fence there are hawthorn trees and a great stand of garlic mustard, its grass green leaves looking as fresh as salad. 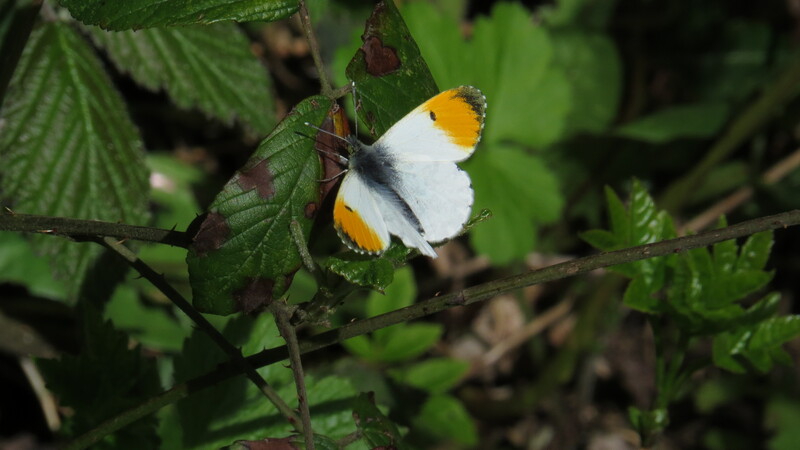 And looping around it is an male orange-tip butterfly. Soon the females will emerge, mate with the males and lay their eggs on this plant, so it was good to see so much of it, looking so healthy. I walk on, turning right, back down the hill. I pass a big wall covered in plaques remembering the dead. There are vases of flowers and pot plants all along the wall beneath, big blousy orange lilies and yellow chrysanthemums. Here, the headstones are all the same, granite with a black plaque in the middle, and they have none of the charm of the angels and urns in the rest of the graveyard. I hope that the place doesn’t turn into somewhere regimented and manicured. It seems that we take up more room than we should even after we’re dead. 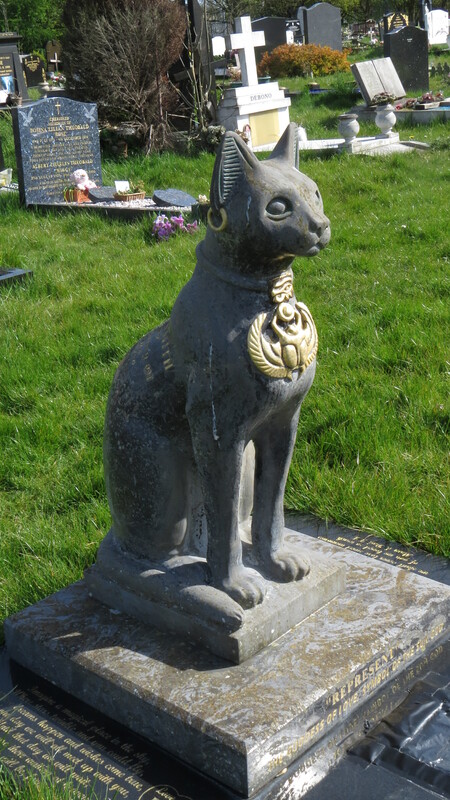 I detour through another area of tombstones, and am astonished to see, on one grave, a four-foot tall statue of an Egyptian cat. Well, I’m not supposed to take photos of graves, but surely they can make an exception for something so surprising. The grave belongs to a man who died in 1971 so it’s not some Victorian artefact. There are lots of references to the Sun God, and I sense that the man buried here was a lover of ancient religions, something of a pagan. 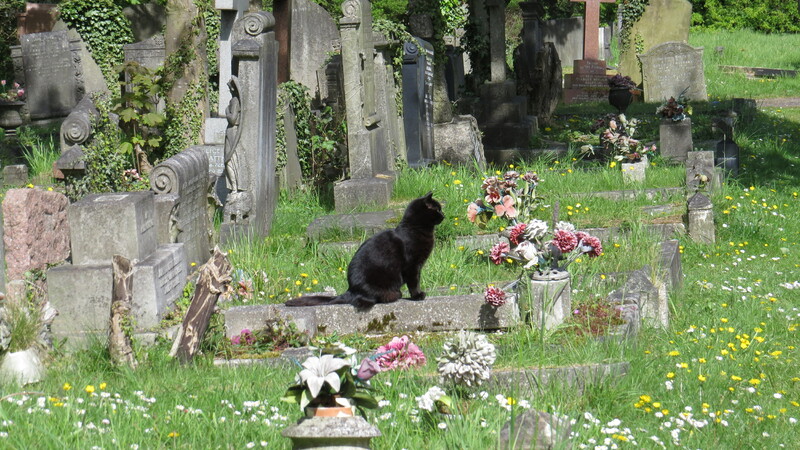 It moves me to find the cat here, gazing out over the graveyard with the same imperious expression as one of Beryl’s cats. 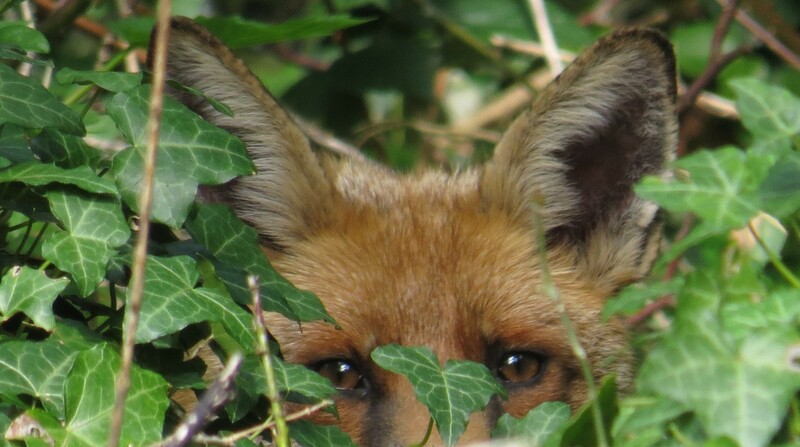 I circle back to check on the foxes, and find that every scrap of food has gone. I say hello to the Dog Unit man and to B, who is feeding Boris the cat and cleaning her husband’s grave. The German Bee Man pops in as well – last year he had so much success with the bees on his allotment that he ended up with twenty hives, but this year it’s been a cold, wet start. We chat for a while, and then I head back. It’s a luxury not to be shivering or soaked, both of which have happened in the past week. There is a kind of peace to something that happens regularly, be it writing or exercising or knitting or meditating. I have tried many different places to write, for example, but always end up back in Costa Coffee on East Finchley High Street, because I’ve written there so often that the very air feels imbued with inspiration and commitment . Equally, I’ve been going to the cemetery pretty much daily for a couple of months now, and that just feels natural, too – I feel the tension in my shoulders relax as I walk through the gates. There is always something to see, if I pay attention. Some days I go in through the front gate, and out through the front gate, and the round trip takes about 30 minutes. Other days, I wander for an hour or more, keeping my eyes open for the stories of the day, because there are always stories, and that’s what I want to share. It occurs to me that I enjoy my fox postings because they’re telling an open-ended story, one which could continue for as long as I’m alive and well enough to be able to report on it. And what of all the other lives and stories here? There’s a novel in it, for sure. Who knows where it will all lead. 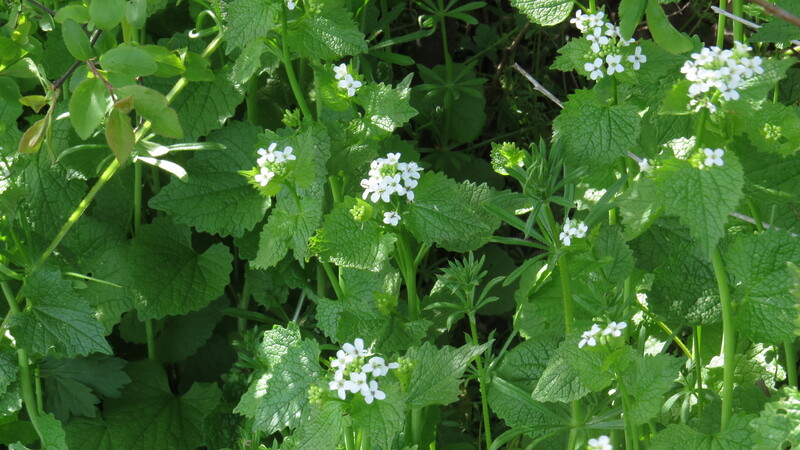 This entry was posted in London Birds, London Mammals, London People, London Places, London Plants on May 7, 2016 by Bug Woman. Thanks for another great article…I feel like I have done the walk myself from your wonderful descriptions. Love the foxy shots too…you say you have a long focus lens, but what camera do you use? Glad to hear that the limping fox is walking better too…obviously the arnica! i love to think of the foxes eating their jam sandwiches, feeling some relief from the meds, and of your Being so peacefully with the flowers and stones and cats. thank you. Such beautiful eyes in the final pic! Tempting to read human emotions into fox-faces, but I suppose they are simply alert, observant and reactive. Beautiful, anyway. I know what you mean, Ann – they are both like us, and unlike us. What always strikes me is their wariness: they want the food that I put down, but have strict boundaries about how close they’ll allow me to get, which is all to the good. Not everybody, unfortunately, has their best interests at heart. Lovely to read and I so admire you for finding the time to walk, think and write every day. Reading this made me determined to do so myself. I am so glad you share your writing and photos with all of us. I feel that I am privileged to have my own “Bug Woman” to guide me through England (and other places as well), pointing out the flora and fauna that I would never have known if I hadn’t had you to tutor me. B’s cats look to be thriving as well — please give her my best regards as well. Thank you, Teresa, I’m so glad you’re enjoying the blog, and I’ll pass on your good wishes!